Majeurs Chesterfield, a London based company that launched in 2011 to restore and manufacture Chesterfield furniture in-house, has recently opened a crowdfunding campaign on Kickstarter. 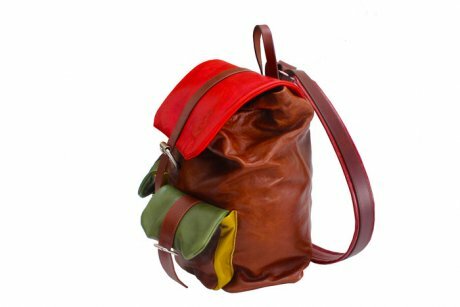 The team, headed up by Demi Owoseje and Ade Oladipo have designed a range of upcycled luxury leather accessories re-made from their old worn and surplus leathers. All of the new accessories which are available in black, dark brown, red and green, will be hand-made in the UK from either restored leather or off-cuts. 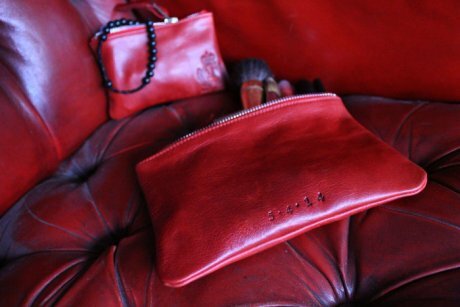 The collection, their first accessories range, includes wallets, purses, and back packs, as well as passport cases, bookmarks and key-rings. When Majeurs Chesterfield restore or repair a piece of furniture, they may need to remove damaged or ‘distressed’ sections of leather. These pieces can be deep cleaned, repaired, and then restored with a new pigment colour. 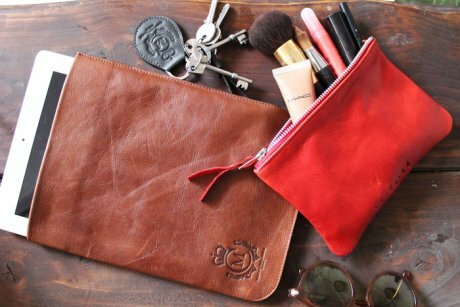 The pattern will be cut it and the revived leather will be hand-stitched into a new accessory. Just as their sofas and armchairs are made by-hand according to traditional 18th century methods, so will their accessories collection be made thoughtfully – there will be no mass production. Every product made by Majeurs Chesterfield benefits from receiving a time stamp which gives the date of manufacture. The chesterfield sofa is a design classic, made to age gracefully, and it is their intention that each of their accessories will also improve with age and hopefully last many years to come. (prices are exclusive of VAT).